Women of all body types can struggle with the same issue ofcarrying body fat around the abdominal area. Whether you carry excess fat under your belly button or in a rounder shape spread across your stomach, there are different procedures to address your unique shape and give you the results you desire. A tummy tuck is perfect for those looking to remove excess or sagging skin around the stomach area along with leftover stubborn fat. The procedure is one of our body contouring options used to tighten abdominal muscles that have been weakened or separated, restoring a firmer, smoother midsection. With all of our tummy tuck procedures, only necessary incisions are made to help reduce scarring while still providing beautiful results. There are other types of procedures that can help further reduce scarring, including a mini-tummy tuck in which only the bottom half of your abdomen is addressed or an umbilical float tummy tuck where an incision is not made around your belly button. 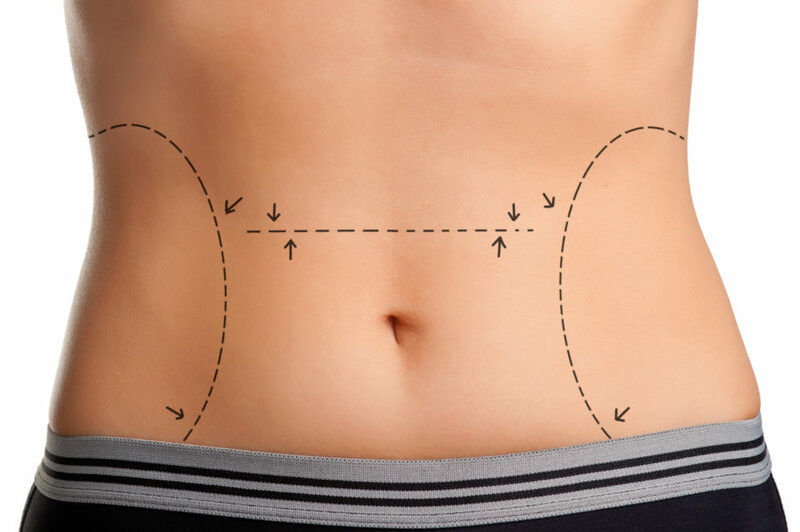 To learn more about these tummy tuck options, please visit our blog or give us a call! If removing loose skin isn’t a factor in your decision, liposuction is the best option for fat removal. Liposuction is great for people who need spot treatments, whether around the abdomen, hips, or even thighs, helping to remove stubborn deposits of fat. The removal of these fatty deposits results in the enhancement of your natural figure and allows your skin to adjust back into a slimmer, smoother shape. The basis of the procedure involves localized anesthetic applied to numb the desired area, followed by insertion of a small tube to aid the removal of fat. Some methods include laser or ultrasound devices to assist in the fat break-up and removal. There are four common techniques for liposuction and we’ve got the all details for you here.